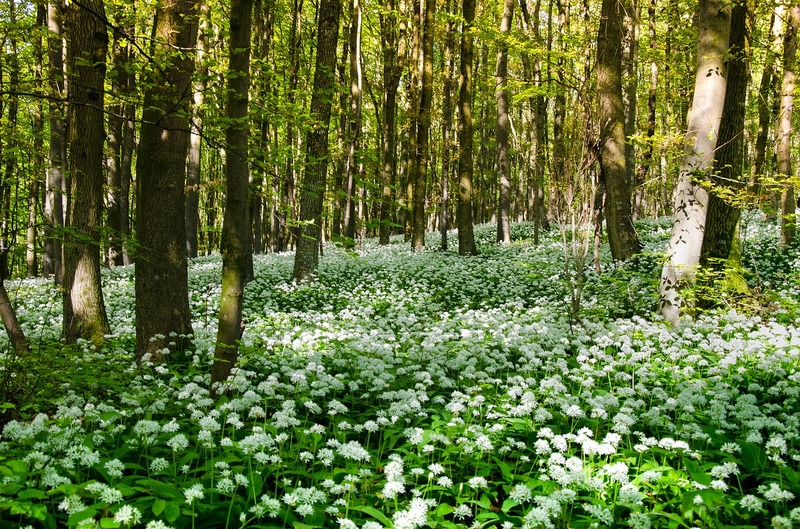 Wild garlic grows in abundance in Spring, and with the mild winters we’ve been having recently there’s even more of it around. 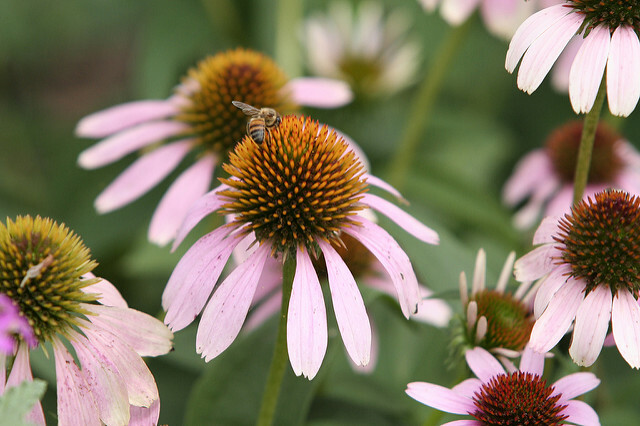 All parts of the plant are edible, but for the most part I recommend just harvesting the leaves , leaving the flowers for the bees, especially in early spring. The bulbs are delicious but in areas that are not densely populated with wild garlic leave the bulbs where they are. They are an important part of the wildlife and you’ll be rewarded in subsequent years. Plus it’s illegal if you don’t have permission from the landowner. It’s surprising what can be grown in relatively small spaces. Over the years I’ve come across some really creative solutions for growing in urban areas. Some of these mini urban gardens are actually more productive (per foot) than some allotment sites as the grower is pushed to make the most of the small space. So what can you grow, and how? Seed swaps are important for the future of our food production and each year people gather all over the UK to swap and exchange seeds. We thought it would be helpful to put these swaps into a list so you can easily find one happening near you. If we’re missing one be sure to email us so we can add it for other people to find. 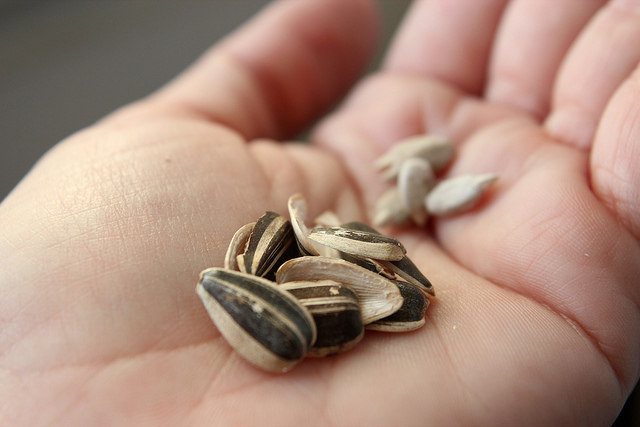 Seed swaps are extremely important as they help combat the seed monoculture that’s been encouraged by commodification. Most seed company profits are made from selling to large scale growers like farmers and market gardeners. When seeds are bred for commercial purposes they often don’t breed true to type which means that the grower is continually reliant on the company to produce the seed. While this is good for business it has been detrimental to seed biodiversity as many farmers and growers stopped cultivation of heritage varieties in favour of uniform seed which was (and is still) often perceived as being more reliable. The recent IPCC report has sparked a lot of media coverage about climate change1. While it is a positive sign that this crucial issue is finally being picked up by the mainstream media, it is important to remember that climate change is only one side of the coin. Biodiversity is equally important for supporting life on this planet and an issue that gets comparatively less attention2. The reason that biodiversity is important is to do with the concept of resilience. By resilience I mean how much disturbance a system can absorb before the system flips into another state3. For example, how much heat water can absorb before it changes into a gas. The amount of disturbance ecological systems can absorb, directly depend on the diversity within and between the elements of a system. This is because if one element within the system fails, another element can be relied upon to maintain the resilience of the system4. on 22 September 2018 . Mulching is an important technique in caring for our soils, it can be carried out in a variety of ways that are often adapted to local soil conditions and availability of materials. The previous blog spoke about multiple issues within our current agricultural practices and mulching is one of the solutions that can be applied to both rebuild and retain the health of our soils. It can also help reduce the amount of weeding that needs to be done, it’s a win-win! In permaculture we are always aiming to mimic nature as closely as possible, especially when it comes to land based design and practice. It is therefore best to mulch when nature mulches, in autumn. When the trees drop their leaves in autumn and the plants die back they leave a natural mulch on the soil. This mulch has multiple functions; the foliage slowly breaks down over time adding nutrients to the soil; the cover protects the soil from wind and rain erosion as well as keeping heat in; the cover also helps to lock moisture in. 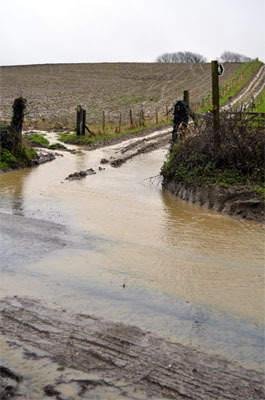 As mentioned in the previous blog, soil in the UK naturally needs to be covered for all of these reasons and leaving soil bare increases the risk of erosion. You will also find that bare soil becomes quickly covered with weeds as it tries to protect itself. If kept bare for long periods of time erosion is inevitable. Mulch can help to protect as well as restore, build and maintain soils. So how do I mulch? Soil is one of the most important resources on the planet and yet we've not been looking after it well of late. Here in the UK we lose around 2.2 million tonnes of topsoil each year due to wind and rain erosion. The UK government recently announced that some parts of the UK are thought to be just 30-40 years away from the eradication of soil fertility. (See Guardian, Defra and BBC links below). One of the main reasons for this decline in fertility is tilling, ploughing, the application of pesticides and herbicides and large scale monoculture farming. Additionally, when the soil gets washed away, nitrogen and phosphorus based fertilisers end up in our rivers and lakes causing a process called eutrophication. This is basically when too many nutrients end up in a water system causing algal populations to boom, resulting in the depletion of oxygen in the water, harming aquatic plant and animal life. 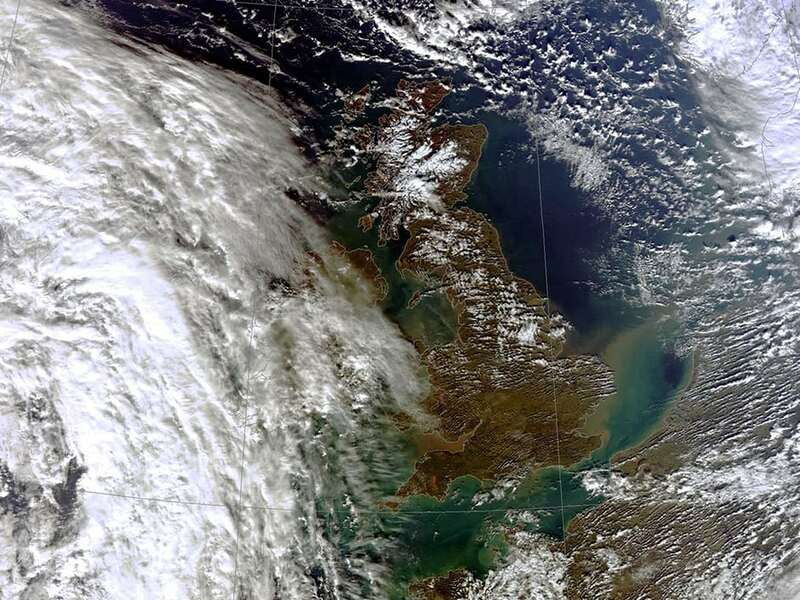 The image above shows the coast of the South of England in February 2014. Horrifyingly, the brown colour around the coastline was the topsoil washed away after heavy rainfall. While soil is a renewable resource, it takes a very long time to build up. Rock minerals are one of the main components of soil and depending on the rock type it can take from 100-500 years to form just one inch of this vital resource. Looking after our soils is vital if we want to maintain biodiversity and ensure a food supply for future generations. I think we can say that summer has officially started now the elderflowers are in full bloom. The elder is one of Britians native trees and the elderflower it produces has many uses, including making a refreshing summer cordial. Elderflower will take a couple of days to infuse however it’s really easy to make and worth the wait. 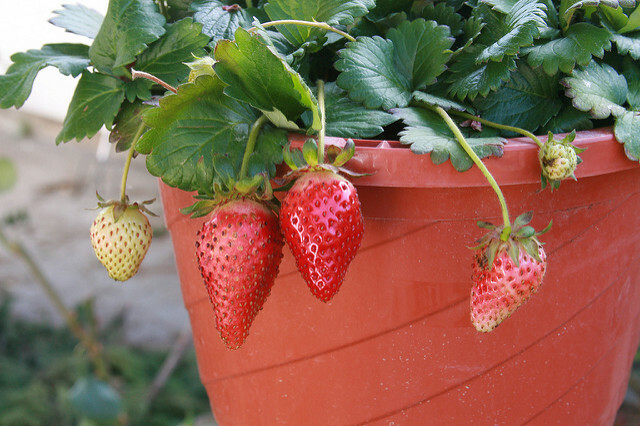 The flowers are blooming now (early June) so you need to get out there quick, though if you do happen to miss them you’ll be able to reap the rewards of the berries at the end of the summer. If you are picking elderflowers now do remember to leave some as even if you are not planning to eat the berries later in the season, the birds will. 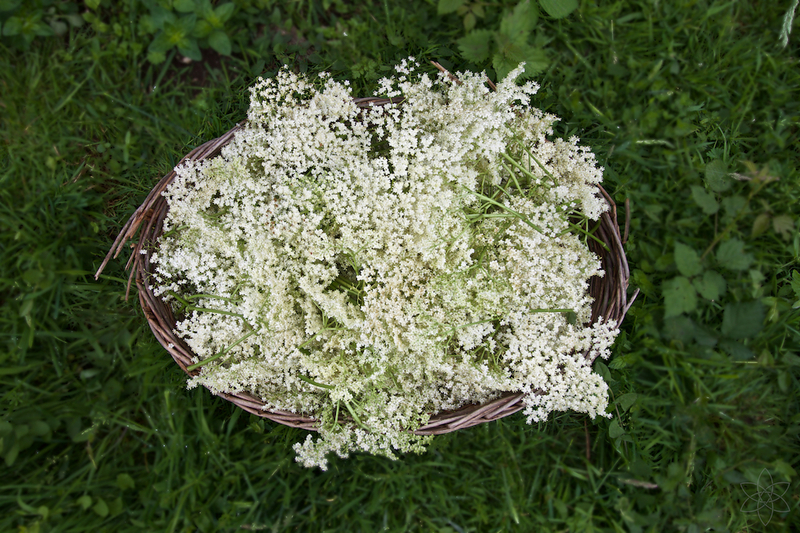 Also, if you don’t have the time to make elderflower cordial, or just don't want too much sugar, the flowers can be used on their own in a tea or infused in a vinegar for salads. Elderflower cordial can also be used to add flavour to white wine or paired with soda water for a refreshing sparkling summers drink. on 16 December 2017 . We've become so used to devouring large quantities of food at this time of year that it's hard to connect with the idea of seasonal shortages - but that's what the midwinter solstice essentially announces. These end-of-year feasts, until fairly recently, celebrated the return of the sun - the lengthening of the day and the shortening of shadows. After this date, the darkest night is over, but the depth of winter is still to come. From this point our ancestors faced a time when there was little food available outside, a period when they had to rely heavily on their stores, using them carefully and keeping the best seed for sowing and animals for breeding in the year ahead. These days we give over most of the responsibility for that to the supermarkets - a convenient arrangement, but ultimately a risky one. 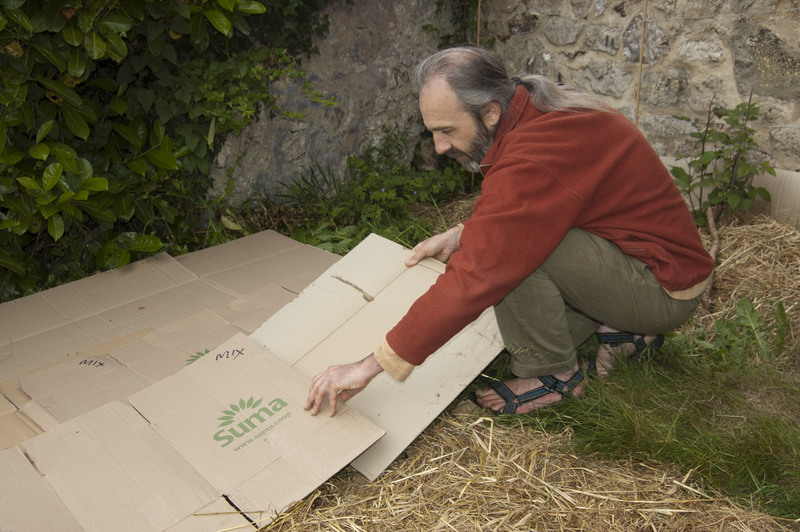 Permaculture encourages to keep our stores closer, where we can be more in control of them, either in our own gardens, or at least in our towns and villages. Gardening is more work for us certainly, but offers us much more resilience too. People queueing for food outside empty shops in New Orleans should have taught us that, but no, it seems we didn't get the message. One of the secrets of nature's success (and a permaculture principle) is having 'many elements for each important function' - to have many different grazers, pollinators, photosynthesisers and so on. 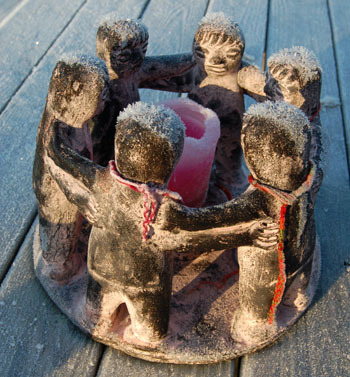 For us it means having several ways of meeting our needs for food, water, warmth, etc. giving us more options should our usual supply run dry. That doesn't mean we all need to grow all our own food (permaculture was never about 'self-sufficiency'), but knowing that we could (if we had to), along with having access to fresh, locally grown fruit and vegetables, that gives a sense of security that money could never buy. It's autumn and many trees are putting on a beautiful show of colour for us, so I wanted to take the opportunity to celebrate all the other things that trees do for us - just in case you still need to be convinced that planting trees is a good idea! I offer a few good reasons here (can you think of any more?). Remember that most of the trees we’re enjoying today were planted for us by our ancestors. Now it's our turn. 1. Trees make oxygen. Okay, I’m starting with the obvious ones, but without the miracle of photosynthesis we would not be here at all. It’s important to remember though that trees and plants need us just as much, to replenish atmospheric carbon dioxide. 2. Trees sequester carbon. I’m sure we all appreciate the importance of that right now, but throughout the history of Life on Earth, the ability of photosynthesisers to take carbon out of the air and reduce greenhouse gases has kept the global temperature ‘just right’, despite our sun increasing in temperature by around 25%. 3. Trees shade us from the hot sun. Yes, I know it rarely gets that hot in Britain, but there are still days when we seek out shade and trees provide it well. 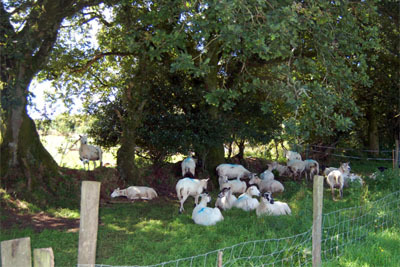 Grazing animals, when they have access to trees, always seek out their shelter too. 4. Trees shelter us from the rain. They shelter everything else beneath their canopy too, including, and especially, the soil. In woodlands their leaf fall provides a carpet that slows water before it hits the soil itself, allowing it to percolate in rather than run off. 5. Trees slow water run-off. Where we do find run off (from fields or hard surfaces), trees can slow it and again allow it to percolate down into the soil. The root buttresses of trees act like mini dams that catch water –and the slower the run off, the less chance there is of flooding occurring downstream. As promised in my most recent blog about agroforestry, I’m now going to introduce you to what I understand to be the finest example of alley cropping in Britain. The home of Prof. Martin Wolfe, Wakelyns Farm, sits close to the Norfolk / Suffolk border, tucked away down some little lanes. Martin moved there in 1994 and began the establishment of an experimental organic silvoarable (trees with arable crops) system. They chose a place well out of the way because they weren’t sure if it would work or not, but 23 years on that is no longer in doubt. The farm covers 22½ hectares (approx. 55 acres) and is divided into four different systems. 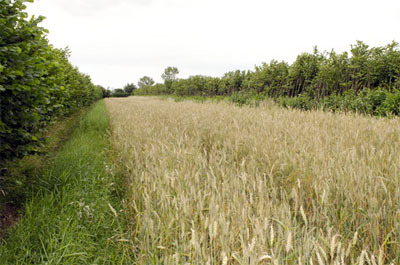 Common to all of them are rows of trees running north-south, spaced around 12 metres apart – a distance initially set for the convenience of machinery, but later realised to also be just about optimum for the benefits to the crops at this latitude. Two of the four systems utilise double rows of Hazel and Willow, both of which are coppiced on a cycle (the Willows every 2 years and the Hazels every 5 years). The double rows ensure that when one row is cut down to the base, it has an adjacent row that still provides shelter to the crops in the alleys. The Hazel and Willow are both used primarily as biomass crops to provide heat on the farm. The crops in the alleys are rotated, with Wheat and Oats the main grain crops currently. Squashes are also grown, followed by clover and a ley grass mixture. Careful measurements are made of yields. One interesting figure is something called the Land Equivalent Ratio (LER). The LER of Hazel with Wheat is 1.3. What that means is that if you grew the same yields of Wheat and Hazel separately as monocultures, you would need 30% more land. on 04 September 2017 . A field of grain ripening in the summer sun is a familiar sight, the promise of food on the table, a symbol of our ingenuity in conquering nature. And yet if we return to that field in the winter we’ll see a very different picture. I live in a little valley close to the coast in Devon. We’re surrounded by mixed farming, some pasture grazing, some arable, and when it rains in the winter the stream that passes our cottage turns brown with the soil being washed off the bare fields. A significant part of the problem is the ploughing of hillsides, which are extremely vulnerable to erosion –the niche that the ancestors of modern grains naturally inhabited was relatively flat valley floors where water moves much more slowly. This problem was exacerbated when we switched from pulling ploughs with animals to using tractors. Animals can plough on contour, creating a series of mini ditches across the slope that catch rain and allow it time to soak in. Erosion then was fairly minimal. Tractors, by contrast, cannot plough on contour on slopes beyond a certain angle, because they tip over, often killing the drivers. They do however have much more power, so instead they plough up and down the slope – a process that requires vastly more energy to perform – they climb the hill hundreds of times instead of just once – but they don’t tip over. In doing so they create channels that run from the top of the hill to the bottom, which direct water straight down the slope, allowing it to pick up speed and carry much more soil away. Around here we see very little soil left on the tops of ploughed hillsides, something that’s really obvious from a distance on the chalk downs. We really shouldn't be ploughing slopes, but what can we do? Whether we’re designed to eat grains or not, we certainly seem, for the moment at least, to be addicted to them. We’re not going to stop ploughing anytime soon, so how can we make things better? I have one word for you. AGROFORESTRY.